I look forward to being your personal Health Coach as you regain your health by following The Specific Carbohydrate Diet™. Let me reassure you that there is “life” after a bad gut diagnosis. And it’s a better one, at that. Most of us felt pretty panicky when we first learned that many of our favorite foods might be taken away. Much to our surprise, however, we found that the SCD foods were the very best foods available and more satisfying than our previous foods. Once we healed on the SCD, most of us found that we were healthier and had more energy than the majority of people we knew. The SCD has proven to be highly successful for many who suffer from various digestive disorders, as well as the many related malabsorbtion issues and diseases which stem from imbalances in the intestinal tract. Read the 210+ customer reviews on Amazon. Now, let me tell you a little of what I've learned first-hand by working with thousands of people with digestive issues since 2000. By the time most of us were having serious symptoms that effected our lifestyles, we had been malabsorbing nutrients for some time and our immune systems were very compromised. We had many symptoms/illnesses that we didn’t even realize were a direct result of not digesting food and absorbing the nutrients from those foods. We found that the intestinal damage caused many food intolerances and that we couldn’t get well until we avoided processed foods and undigestible starches . . . and learned to prepare other foods in specific ways. What mainstream health and medical practitioners fail to mention (and aren't schooled in) is that imbalances in the digestive system are caused by a number of things: Overuse of antibiotics, birth control pills, prescription drugs, chemotherapy, cortisone, too many processed foods, too much sugar, overindulgence in alcohol, Genetically Engineered Foods, yo-yo dieting, stress, chemicals, preservatives, heavy metal exposure, and the list goes on and on. Our modern world has indeed become very toxic; making most people sick. The good news is that our food selection is one area that we do have a great deal of control over. Unfortunately, sorting through all the dishonest advertis-ing and labeling has become quite a challenge for the average person today. The Specific Carbohydrate Diet helps us sort through this confusion and get back to the basics of a healthy way of eating much like our ancestors of long ago ate . . . before foods were so commercialized and chemicalized. SCD foods encourage microbial balance and healing by not promoting overgrowth of bacteria, over-fermentation and inflammation. Bacterial/yeast/Candida overgrowth in the gut causes inflammation that destroys digestive enzymes and a weakened immune system; resulting in many food sensitivities and intolerances to gluten, lactose/dairy, starches, sugars, carbohydrates, chemicals, GM foods, etc. Some of the many symptoms are allergies, respiratory infections, rashes, itching, coughing, headaches, anemia, depression, brain fog, joint swelling and pain , ,, , Arthritis , Fibromyalgia, indigestion, Acid Reflux, gas, bloating, stomach pain, diarrhea, constipation, anemia, thyroid imbalances and IBS. These often develop into full-blown diseases such as Barret's Esophagus, Celiac Disease, Crohn's, Ulcerative Colitis, Diverticulitis, Cancer, etc. My estimate is that about two in every three people you know suffers many of these digestive/intestinal/malabsorbtion symptoms; and if their diets are not addressed completely, symptoms will eventually worsen and deal them a lifetime of misery . . . possibly leading to a life on steroids . . . or cancer . . . and ultimately to the removal of intestines; which causes many more problems. The SCD is a healthy way of eating, much like our early ancestors ate. It heals the intestines and maximizes digestion. Once the intestines heal and repair, enzymes can return, and digestion and absorption of nutrients from the foods you eat can be maximized. Only when you’ve maximized digestion, absorption and elimination can the immune system become strong enough to do its job of keeping us disease free. Since the SCD is based on the science of balancing our ecosystem, it is imperative to follow the food list FANATICALLY for it to “work it's magic.” After you’ve broken some of your food addictions (usually about 3-10 days) you should not feel deprived, abnormally hungry or crave . . . as long as you follow the food list closely. As you rebalance your ecosystem and heal, those who need to loose weight will loose and those who need to gain will gain. Just keep focusing on getting "healthy" and your weight will typically slowly stabilize as a result. This way of eating has given many thousands a new life! Please read how the SCD changed six of my immediate family members and my life (Our Family Success Story). Once you've "practiced" eating healthy for a while and begun to feel the difference, I'm confidant you will be "hooked" like we are. One size does not fit all when it comes to diets. That is so true for the SCD. As AaaAs this will be a new lifestyle for you, you will need to UNLEARN some things and learn many new things. Most people find they need an "experienced" SCD Health Coach to help them personalize and tweak the SCD for their specific needs and sensitivities, to encourage or cheer them on as they develop patience in learning to read their body, learn how to reduce stress levels, eat nutritionally balanced meals . . . and, if need be, learn to cook delicious SCD foods. 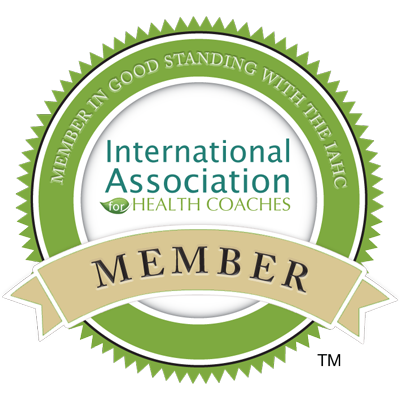 As your Health Coach, I will guide you in putting together a personalized step-by-step program for healing and literally "hold your hand" as you work your way back to good health. I invite you to fill out and submit my He al th Que st io nn ai re today. I will review it and call you for your FREE phone consultation to explain how my program can assist you in your healing. “One of the most delightful discoveries we can make in life is realizing that everything that happens to us can be used for our advancement. Every experience, no matter how traumatic and daunting it might appear has just as much potential to be a stepping stone as it does to be a stumbling block.